How Does God’s Wisdom in Salvation Display the Glory of All of God’s Attributes and Each of The Persons? Good theology texts usually point you to other good theology texts. 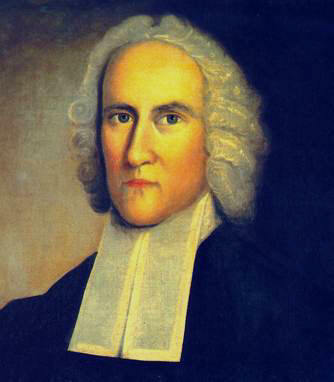 Recently, Adam Johnson’s little book Atonement: A Guide to the Perplexed, tipped me off to Jonathan Edwards’ fascinating collection of sermons The Wisdom of God, Displayed in the Way Salvation. The title basically says it all. Taking his cue from Ephesian 3:10 (“To the intent that now unto the principalities and powers in heavenly places, might be known by the church the manifold wisdom of God“), Edwards sets himself investigate in just what way the multifaceted wisdom of God is displayed before the angels and heavenly authorities in the way of salvation. This is a particularly creative work because, as Johnson notes, the emphasis on the display of wisdom presses Edwards to look at the work of God in salvation in a holistic way extending beyond the narrow focus on sin, guilt, wrath, satisfaction, and forgiveness (important as that is). In one section, for instance, Edwards expounds the wisdom of God in everything, including his choice of the person of Christ, and the way he is particularly suited as the Godman to be our Redeemer. Not only that, he examines the necessity and wisdom of the various dimensions of Christ including his birth, his life, his teaching, his death, his resurrection, and even his exaltation. Each of these facets is shown to be an important component for our reconciliation, growth in holiness, and restoration to God. As it is wonderful, that a person who is truly divine should be humbled so as to become a servant, and to suffer as a malefactor, so it is in like manner wonderful that he who is God-man, not exclusive of the manhood, should be exalted to the power and honor of the great God of heaven and earth. But such wonders as these has infinite wisdom contrived, and accomplished in order to our salvation (emphasis added). How does salvation highlight the being and nature of God so well? Far too often, we think of God’s salvation involving only one or two of his attributes. Well, it turns out that if we pay requisite attention to the shape of reconciliation, we would see that “Each attribute of God is glorified in the work or redemption.” Edwards backs his claim in this stunning section by examining the way the salvation wrought in Jesus displays or glorifies five of God’s attributes, with the understanding that he could just keep going down the line. 1. Power. First, it clearly displays God’s power (Edwards dwells on this more than any other attribute). I mean, how powerful do you have to be to unite both God and man in one person? “This is a greater and more marvelous work than creation.” Not only that, for God to save humanity in this way shows a greater power involved than in creation for two reasons. Creating a glorified creature is better than a mere creature. Also, creation involved bringing something into being out of nothing, but redemption means making something beautiful out of something already spoiled. Beyond that, God did all this in the face of the opposition of Satan and his minions, whom Christ the mighty triumphed over (Col. 2:14-15). 3. Holiness. Third, God’s holiness is displayed in the salvation of sinners. He is too pure to make peace with sin and so wills to save us in a way that makes clear “his hatred of sin” in the cross and suffering of his own Son. But now God has shown that he can find in his heart to love sinners, who deserve his infinite hatred. And not only has he shown that he can love them, but love them so as to give them more and do greater things for them than ever he did for the holy angels, that never sinned nor offended their Creator. He loved sinful men so as to give them a greater gift than ever he gave the angels; so as to give his own Son, and not only to give him to be their possession and enjoyment, but to give him to be their sacrifice. And herein he has done more for them than if he had given them all the visible world; yea, more than if he had given them all the angels, and all heaven besides. God has loved them so, that hereby he purchased for them deliverance from eternal misery, and the possession of immortal glory. The attributes of God are glorious in his other works. But the three persons of the Trinity are distinctly glorified in no work as in this of redemption. In this work every distinct person has his distinct parts and offices assigned him. In the work of salvation, Edwards thinks the works of the Trinity in the economy–the historical outward work of salvation–display in a fitting way the “distinct, personal properties, relations, and economical offices” in a way that just isn’t as clear in, say, creation. And this brings them particular glory and us a greater sense of worship each particular person. Of course, we may want to be careful to run this through the recent posts by Fred Sanders and Scott Swain on the unity of divine actions of the Trinity. Nonetheless, Edwards’ careful attention to the shape of salvation and desire to explore its beauty in light of the nature and character of God in his triunity does two helpful things. First, he gives us very specific reasons to praise and worship our God. I don’t know how anybody could read that text and not simply marvel at the wisdom of our God. Second, Edwards serves as a role model for our own study of the Scriptures. In every work of God, we ought to be diligent to stop, meditate, and seek out the multi-faceted wisdom of God, and the multi-dimensional glory that pours forth from all of his mighty works.